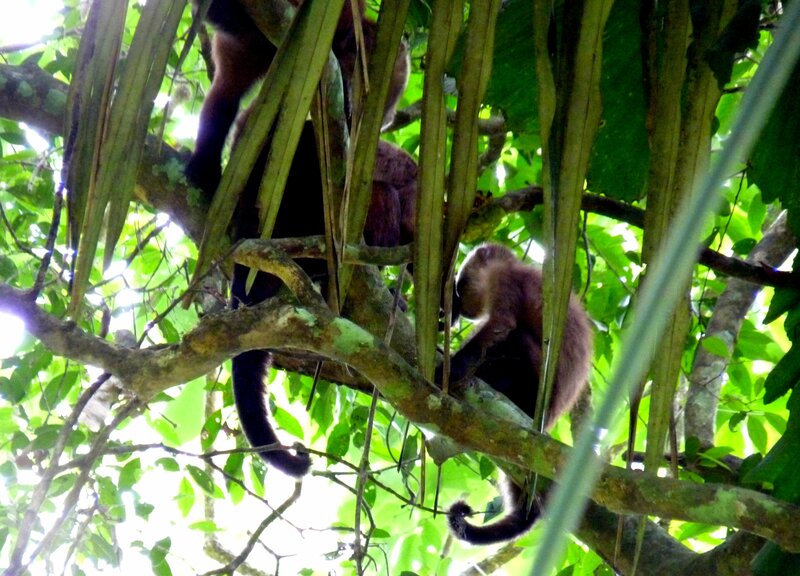 Wet jungles are fascinating places, and possibly none more so than the Amazon rainforest. Nothing about it was what we expected. 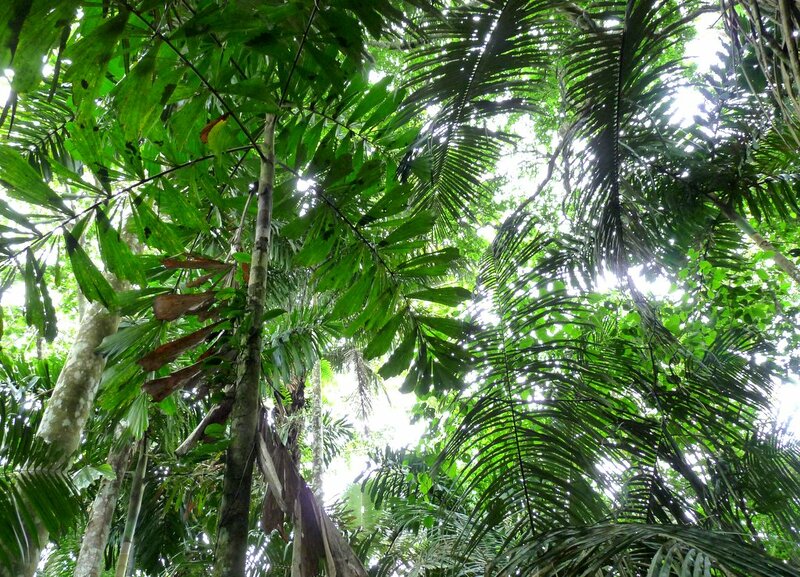 Tropical rainforests are layer upon layer of life scrambling to exist. You can’t really get a feel for one until you walk through it. If you were to just look at an aerial picture, you’d see the thick canopy layer spreading its myriad of leaf shapes to get as much sun as possible, but underneath the jungle teems with some of the highest biodiversity on our planet. 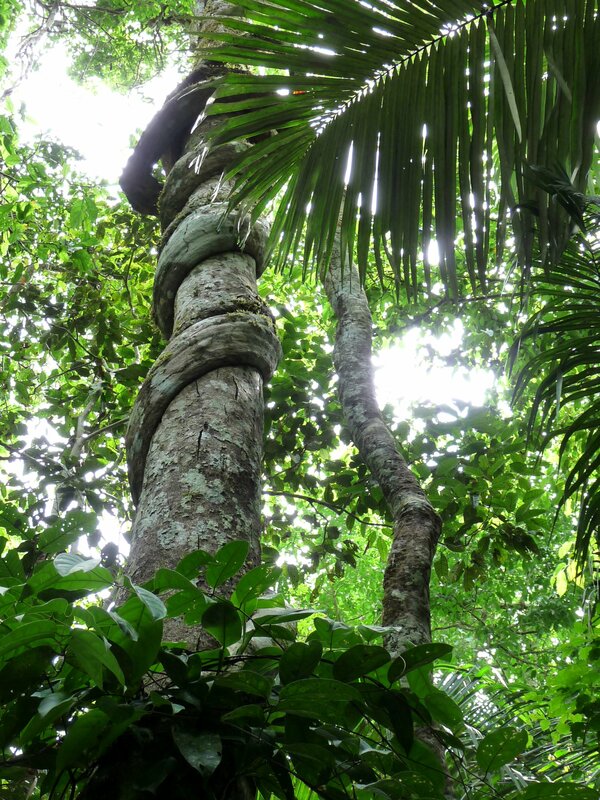 The massive trees are the support structure of the jungle, but they pay the price, playing host to epiphytic plants and getting choked to death by thick strangler vines. Their fruits are eaten by birds and monkeys of all kinds, who excrete the precious seeds to tumble down to the forest floor and germinate a new generation of trees. In the middle the medium-growth plants all jostle for the tiny bits of sunlight that make it past the canopy. You might see wild limes and papayas, plants with long spiky leaves next to those with big glossy leaves like elephant ears. 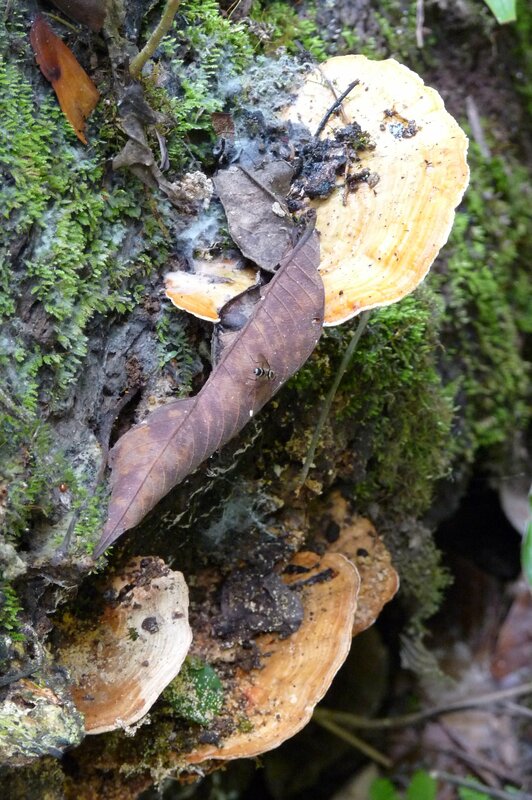 Lichens and fungus live down near the darker and moister bottom layer of the jungle, sprouting all manner of shapes and colours. 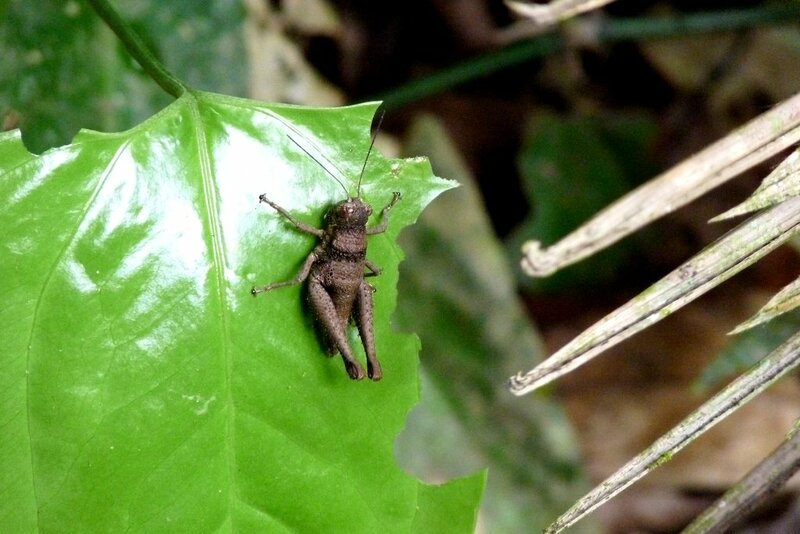 Insects climb, buzz, flit and perch wherever they can. Dead plant life that litters the jungle floor decays to provide nutrients for the germinating fruit seeds that the monkeys and birds have dropped. The soil of a rainforest is poor in quality — it depends on everything that falls from above to feed the life it supports. Once a patch of jungle is clear-cut, it never recovers, dead for all time. This Tuesday, April 22 was Earth Day, a day dedicated to honouring and protecting what’s left of the precious resources on our planet. The Amazon Jungle is one of the most precious. Go and see it while you can, and do all you can to help preserve it, for every single species on our Earth, humans included, needs it to survive. really fun post! and great for the on top theme….